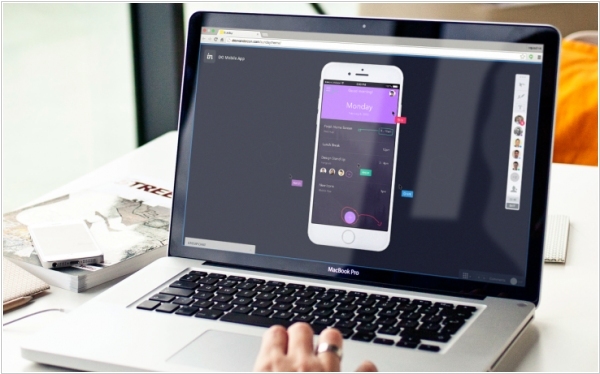 InVision, the design collaboration tool, announced the close of a $100 million Series E funding round. The company recently announced InVision Studio, which is meant to take on Photoshop and Sketch, giving designers all the tools they need to not only collaborate with their peers, but create the original designs. InVision also acquired Brand.ai, a tool that helps manage design teams at scale with cloud-based asset management. InVision says that more than 70 percent of its users aren’t on the design team, which is part of what has made the company so successful over the past six years. Microsoft so appreciates its diagram-drawing application Visio, that sells it separately from the Office 365 for as high as 18/month/user. The most popular alternatives to MS Visio - is a great SaaS service Gliffy, which costs $5/month and free Google Drawings, which, however, is only suitable for simple diagrams. But it turns out that there is another serious alternative to MS Visio - Grapholite. This is online service + desktop app. Few days ago they also released the first full-featured Android app for drawing business graphics on tablets. Now, with the help of your finger you can draw quite complex and beautiful charts. 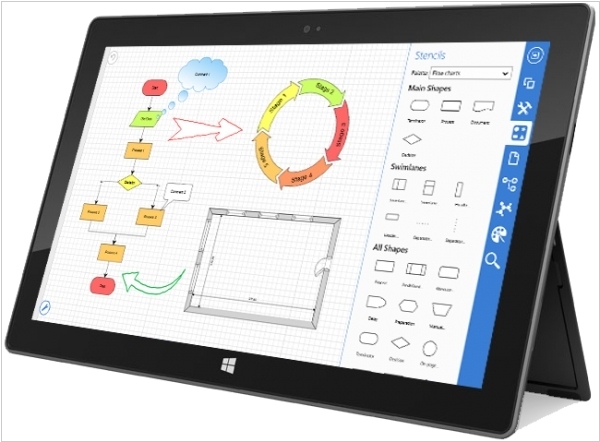 Despite the fact that it is a mobile application it contains all features that can be expected from the mature state-of-the-art diagramming solutions like Visio: a rich set of built-in themes and styles, sophisticated connection auto-routing algorithms, dynamic grid, snap lines and hundreds of smart shapes on the toolbox. The unique “sketch” mode allows single-click styling of any figure as if it is sketched by hand. The unique “sketch” mode allows single-click styling of any figure as if it is sketched by hand. The app costs $15.99 while the desktop+online application costs $49 (one-time fee). 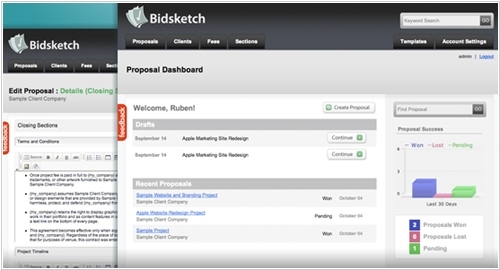 Bidsketch is a new SaaS service that facilitates the proposal process for freelancers and small firms. Creating consistency across copy, templates, formatting and the approval process is simply good business, and Bidsketch bets that 29 bucks a month is well worth the investment for any size company. The company is targeting service verticals, including “design, development, marketing, advertising, SEO and similar agencies.” Proposals in the service are tied to Clients that you can easily import from your accounting software. The client’s activity can be tracked every step of the way, including Viewed, Postponed, Accepted or Declined. There is also a comment thread. When Accepted, Bidsketch handles the signature execution for vendor and client. Slick. And then you’ll have some data on outstanding bids, what’s been accepted, etc. Looking for a quick way to pass along ideas with a few other folks? Check out Scriblink, a new site for whiteboarding and conference calling. Setup is dead simple - just load the page and give the service your name to get going. There's a half-page workspace to sketch and write down ideas, a full color pallet to differentiate each user, and an undo button that will let you get rid of every addition you've made. There's also built-in multi-user chat on the right-hand side. If you feel like talking, the service can set up a free conference line to dial in to, although this is in no way integrated into the shared workspace. In case you feel like saving your work, just give it your e-mail address, and the site will give you a permalink to access it whenever you feel like it - although Scriblink doesn"t have to hold on to your workspace forever. It promises two months minimum, but if it"s important, you"d be wise to save a copy locally or e-mail to yourself.